Yesterday we provided the full list of the voice cast for the King’s Quest reboot from Activision, Sierra and The Odd Gentlemen, and today we are happy to bring you a behind the scenes trailer, titled “Voicing a Modern Classic”. This incredible diary is the second installment in a four-part series revealing the headlining talent at the heart of bringing King’s Quest™ to life. Talent includes veterans Christopher Lloyd and Wallace Shawn as well as Josh Keaton, Maggie Elizabeth Jones and Zelda Williams. In “Voicing a Modern Classic” find out what they have to say about voicing one of gaming’s most memorable franchises. The Odd Gentlemen are the studio bringing back King’s Quest, under the direction of co-founder Matt Korba. The new iteration borrows some old ideas, while at the same time implements some new ones. The game retains the adventure qualities of the classic games, and it relies greatly on exploration and puzzle solving. In King’s Quest, story is of great importance, and player choices have great impact to the outcome and progress of the narrative. It will follow the recent trend, of a five episode arc, without necessarily being strictly constricted to a single narrative. King’s Quest : “The Vision” is the first in what will be a four-part series of diaries showcasing the development of the upcoming adventure game, King’s Quest™. This opening featurette introduces Creative Director Matt Korba and Producer Lindsey Rostal, who leapt at the opportunity to bring the unforgettable storytelling, puzzles and wit of the original games into a new era. Thinking about the future of a franchise with such a storied past, the team chose to begin this new journey at its end, as an aged King Graham takes his granddaughter, Gwendolyn, back through the untold tales of his astounding life. 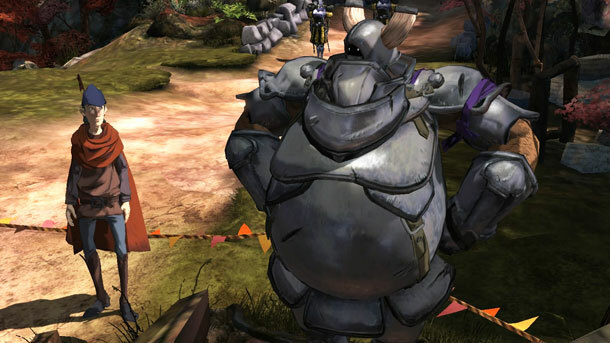 King’s Quest is set for a 2015 release date for the PlayStation 4, Xbox One, Microsoft Windows, PlayStation 3, Xbox 360. We will bring you any new information on King’s Quest as soon as it becomes available.